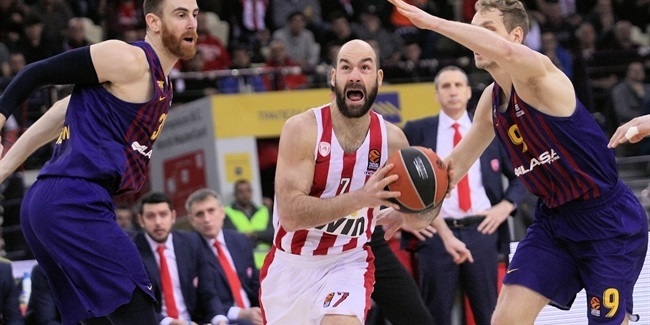 Bartzokas resigns Olympiacos bench, Tomic steps in! Less than a week before opening day, the man who led Olympiacos Piraeus to the 2012-13 Turkish Airlines Euroleague title, Georgios Bartzokas, has resigned as head coach after two seasons with the club. Olympiacos announced that it had accepted the resignation and named long-time assistant Milan Tomic the new head coach on a temporary basis. Bartzokas became Olympiacos's head coach in 2012, replacing Dusan Ivkovic, to take on the challenge of helping the Reds repeat as champions, something only one other Euroleague team had done in the previous 20 years. Nonetheless, Bartzokas led the Reds to the repeat Euroleague title in 2013, becoming the first and only Greek coach ever to lift the trophy. That year, Bartzokas was chosen as the Alexander Gomeliskiy Coach of the Year trophy winner and later led Olympiacos to the Intercontinental Cup title in its first edition this century. 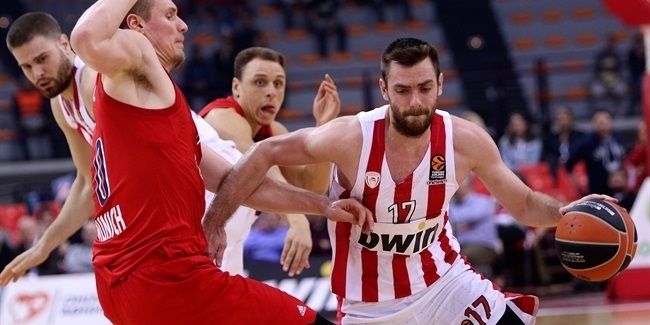 Last season, Bartzokas and Olympiacos returned to the Euroleague playoffs but lost Game 5 on the road to Real Madrid. His team finished second to archrival Panathinaikos Athens for the Greek League crown in both of his seasons at Olympiacos. Bartzokas stepped down following a loss against Panathinaikos in the Greek Cup on Thursday night. Olympiacos reacted by promoting assistant coach and club legend Tomic to the head of the bench on an interim basis. Tomic, age 41, played most of his illustrious career with Olympiacos, helping to win the team's first Euroleague title in 1997, and has been part of the team's technical staff since 2008. "There are moments in your life in which you must change and for me, such a moment arrived today, more than two years after I started to collaborate with Olympiacos," Bartzokas said in a farewell letter. "The emotions that I experienced were intense. As great as the joy and pride was in the great victories, the sorrow was even greater in defeat. The truth is that I worked with faith, devotion and, above all, the belief that my decision was for the good of the team. That should be the criteria for anyone who has the honor to serve such a big club like Olympiacos. "From deep in my heart, I would first and foremost thank the Angelopoulos family for its trust, support and the working conditions they provided; the players who I have worked with, for what we did and did not do; the club's coaching and administrative staff for their hard work and consistency; and, finally, our fans who stood by us in their own unique way. I truly believe that this year's team has great potential and high standards that can lead to the success it deserves. 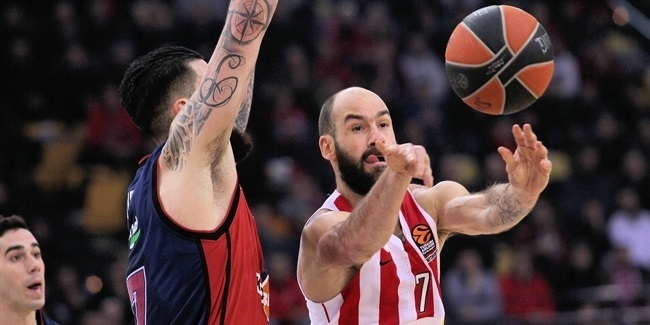 I wish the Olympiacos family strength and good luck."